EVER FRAGRANCE FOOD SDN BHD, formally known as FRAGRANCE FOOD ENTERPRISE, is a family business with a humble beginning since the year 1998, hailing from a coastal village near Sitiawan, Perak. Ms. Evelyn Ching So Hiong, the founder, felt that there is more opportunity in the food-manufacturing industry. The company EVER FRAGRANCE FOOD SDN BHD has been incorporated in the year 1998. It has grown into the food market from the year 2004 onwards. EVER FRAGRANCE FOOD SDN BHD began as a small cookie business for sale to office clientele and later she was introduced to snack food. As a snack consumer, she has a philosophy of producing snack food with the consumer's health and rights in mind. Besides her philosophy, she wishes that everybody could afford to buy her product with the lowest prices. However, the company faced inflationary cost for raw food material. 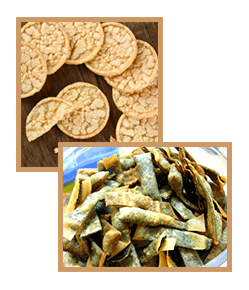 EVER FRAGRANCE FOOD SDN BHD keeps the snack product reseller price low to allow the business to prosper with increased market penetration and product recognition. Production has to be run around the clock to keep with customers demand for Fragrance Food product range. Ms. Evelyn Ching with her honest suppliers and distributors has turn the small food manufacturing industry into a large corporation with the strong networking. As part of today's business process, a registered trademark is important. Hence all products under EVER FRAGRANCE FOOD SDN BHD carrying the trademark name, YOURWAYS™. EVER FRAGRANCE FOOD SDN BHD believes in investing in research and development to enhance homemade.